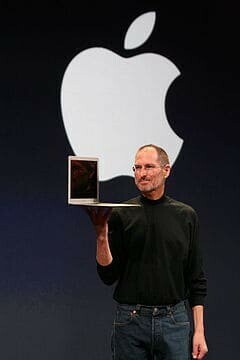 Steve Jobs is one of the world’s most famous followers of Buddhism – a religion not associated with consumerism and buying all the trappings of desire. His resignation from the post of CEO of Apple may signal failing health – or it may tell us he simply wants to slow down, spend more time with his family or give other people a chance to shine in his cash-rich company. Perhaps he might spend more time on his iPad or driving his Mercedes? Perhaps he’ll be spending some of his billions of dollars. Undeniably, Steve Jobs has the trappings of being rich and famous – which does not appear to cause any conflict with his religious views. Christians, too, are generally opposed to the trappings of the consumerist world. The Bible itself teaches them that wealth for wealth’s sake is to be discouraged. Yet, rather like Steve Jobs, there are plenty of very rich Christians, with expensive tastes. So how do they reconcile their consumerist tendencies with their religious beliefs? New research on 400 Christians in the UK provides an answer – and reveals an important sales technique for anyone trying to sell things online. It transpires that many Christians do indeed buy objects of desire – but they usually only buy them if they are not promoted in a materialistic way. For instance, the study used adverts of desirable watches. If the adverts promoted the watches as desirable, or materialistic the Christians did not want to buy the item. But if the same watches were advertised in ways which emphasised functionality, they did want to buy them. Traditionally, marketing gurus explain that you need to sell benefits, not features. However, this research shows that by focusing on features, not benefits you actually increase sales potential in one specific sector. It is a reminder of the fact that when you are trying to sell anything, you really must focus on your customer and their needs and perspectives. By following the advice to “sell benefits” you could well be reducing your potential sales to people with religious beliefs – they appear more likely to buy functions, not benefits (partly because it helps them justify the obvious conflict between their consumerist behaviour and their religion’s teachings). In other words – you can sell to people who appear unlikely to buy if you see the purchase much more from their perspective. People with religious beliefs see the world differently to others – but they still buy things. They just need to be presented with them in a way that is acceptable to them. Similarly, for instance, people with “technophobia” see the world in a different way, but they still buy mobile phones if they are not seen as technical. It is more evidence that focusing specifically on the way customers think enhances your sales. Trying to be all things to all people simply does not work; this study is another reason why you need multiple ways of selling the same item. That’s because you have multiple audiences who all think in different ways.